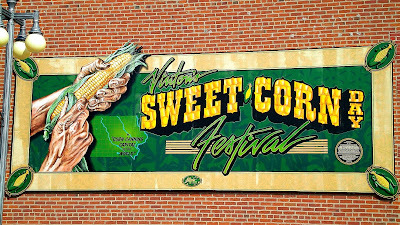 Vinton is a small town close enough to Cedar Rapids and Waterloo to allow its residents to commute to work in each city. It has a well maintained main street with cute streetlights lit up at night, and a large park north of town. But I had never found anything good to eat while cruising up and down the main drag. 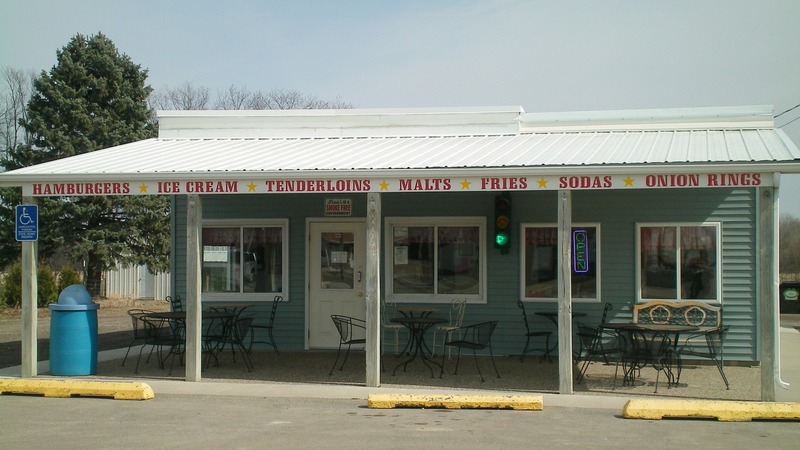 While driving into town on Highway 218 one day, I couldn't help but notice the word Tenderloin hand painted on the side of a tiny ice cream stand. This made me pull into the gravel parking lot like a bee to honey. 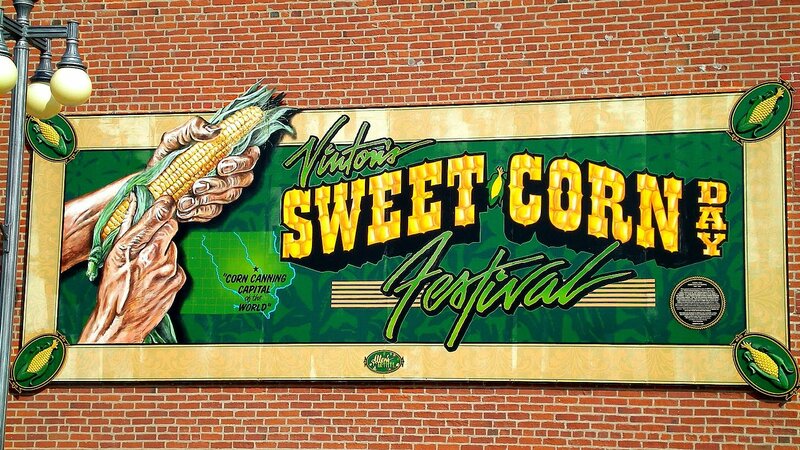 Location: 210 North K Ave. in Vinton, Benton County, Eastern Iowa. Directions: Highway 218 turns into K Ave as it passes through the west side of Vinton, the Malt Shop is on the east side of the road. The Tenderloin: The meat was cut in a butterfly pattern visible from above, with three parts sticking far from the bun. 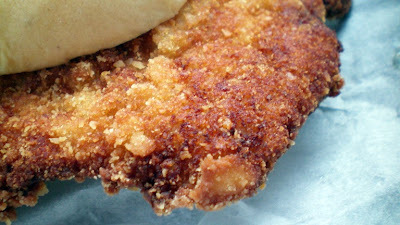 Breading was a lightly seasoned crackermeal that turned into a nice golden brown color. The meat was white throughout, although one side was thicker than the other. The whole thing felt like it weighed about seven ounces. Texture included above-average juiciness. 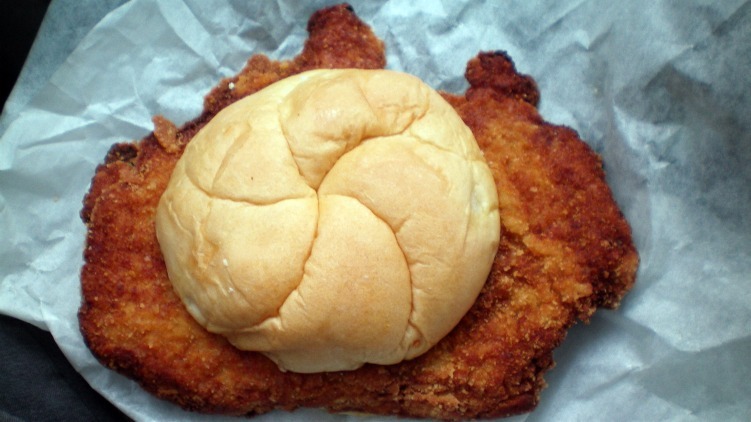 The bun is huge and untoasted. Served with your choice of fixins, Overall 7.2 out of ten. Also on the menu: Its a relatively simple menu with fried stuff, hamburgers and a full selection of ice cream and sweet stuff. Service: Its counter service with local kids running the show and what looks like the owners around as well. Ambiance: The small interior is filled with nostalgic Coca-Cola themed decorations and pictures of the local high schoolers. The seating inside is limited, but there are tables for seating outside. 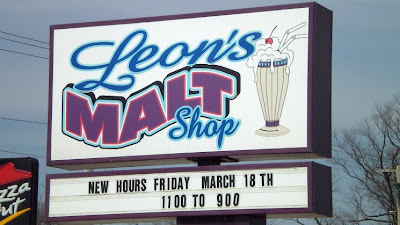 Final Thoughts: I can't remember if Leon's is open year round or only seasonally. I could have sworn I visited this place one winter day and it was closed for the season. 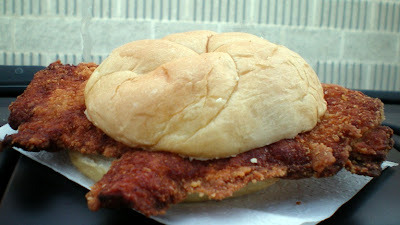 Each online review I found of Leon's mentioned the tenderloin, and I can confirm that its a solid homemade sandwich. Oh! 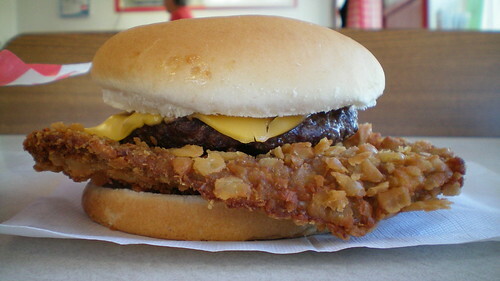 We do have a 5 lb tenderloin, 5 inches high with 5 toppings. If you can eat it all in two hours or less it's free. 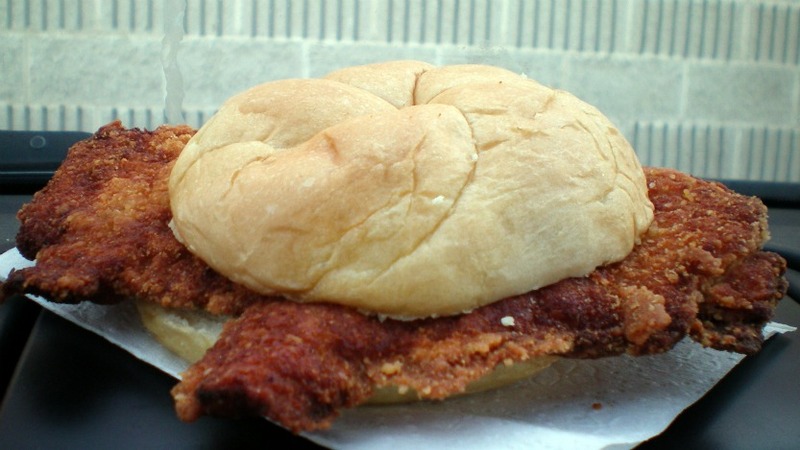 To attempt this huge tenderloin you must give us 24 hours advanced notice to prepare it. What happens if you don't eat it all - well you pay just $35.55. Has anybody out there ever tried this thing or even seen it? It appears the place has only been open since late 2010. This would appear to the the only eating challenge involving only a tenderloin, not a tenderloin stacked with all sorts of other stuff on top.